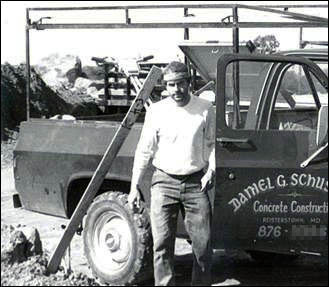 Schuster Concrete Construction, also known as DGS Construction, Inc., was founded in 1974 by Daniel G. Schuster with little more than a pick-up truck, a shed-full of tools, and the determination to succeed in business. Originally a small concrete contracting company — forming, placing, and finishing concrete — Dan and his crew all too often found themselves completing their prep work on time yet having to wait for concrete to be delivered by their suppliers. As the business payroll grew, so did the cost of even short delays and it became more clear that the only way to guarantee timely deliveries and have full control over project schedules was to start producing and delivering the concrete within his own company. In 1985, Dan built a small concrete batch plant on New Plant Court in Owings Mills. Other small contractors, local builders and DIY homeowners, soon discovered the quality products and on-time deliveries of this new competitor in the market and the Schuster Concrete supply business venture grew quickly with 6 additional concrete batch plants constructed in the years since. 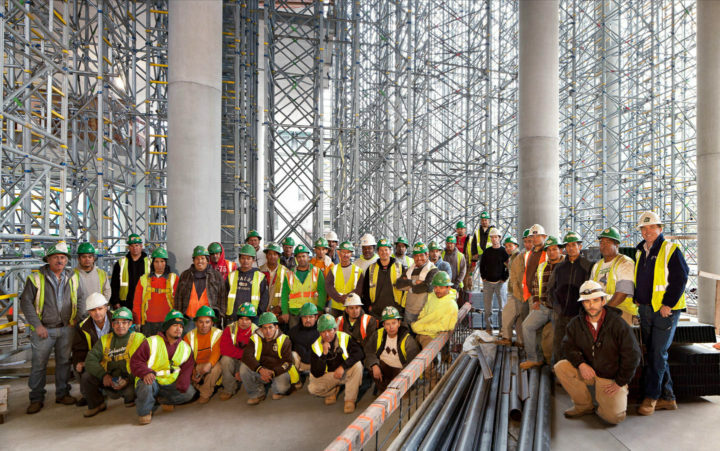 Today, Schuster Concrete Construction has grown into one of the largest concrete construction companies in the area. Ranked number 235 in the October 12th, 2009 edition of Engineering News-Record (ENR) list of the 600 largest specialty contractors in the United States, our experience includes commercial, institutional, educational, government, high rise structures, parking garages, health care & medical facilities, industrial, warehouse, and renovation / reuse concrete construction of all types, including tilt-up or tilt-wall, post-tension, various types of cast-in-place concrete floor systems, tower crane services, large scale laser screed concrete pours, concrete pumping services, and other state of the art concrete placement techniques and project management — private, public, large and small, we can handle it. The 22 story Baltimore Four Seasons Inner Harbor Hotel; the 28 Story Legg Mason Tower on the Harbor East waterfront; the 191 unit Ritz Carlton luxury waterfront condominiums in Baltimore, Md; the Baltimore Inner Harbor Pier 5 parking garage; the Gaylord National Resort, Hotel & Conference Center in Oxon Hill, MD; the 30 story Parcel B, Baltimore Inner Harbor multi-use complex; the 14 story Harrison Suites Hotel in Ocean City, MD; the 2,900 vehicle MTA Metro Centre parking garage; and the 12 story Grandview at Towne Center luxury condominiums in Annapolis, Maryland are just a few of our more notable projects. Dan Schuster’s “make it happen” attitude exists within the entire Schuster Concrete workforce. We are agile, adaptable, passionate, and willing to go the extra mile to achieve success in our work while providing value added, quality service to our customers.